Anyone who has ever been to Oahu knows that the entire island is a true paradise, as no doubt they have spent near endless hours frolicking among its crystal blue waters and sparkling white sand beaches upon their visits. Yet very few have ever experienced the exhilarating high that comes with viewing this epic island from above upon a helicopter ride. Among the best Honolulu helicopter tours available, Makani Kai Helicopters operates conveniently from its location in the heart of the city. Its 30-minute to 60-minute standard tours, depending on which you choose, will fly you over various popular sites, such as Honolulu Harbor, Waikiki, Diamond Head, Hanauma Bay, Makapuu Point, Waimanalo Beach, Pearl Harbor, Kaneohe Bay, Kaaawa Valley, Sacred Falls, Kahuku Point, along the North Shore, Kolekole Pass, over the Waianae range, and more. Scheduling a private charter (maximum of six persons per helicopter) is also an option. Also popular among Waikiki helicopter tours is Blue Hawaiian, which operates from the Honolulu airport and is known for its tours that utilize the “quiet-technology” that is the modern Eco-Star helicopter. 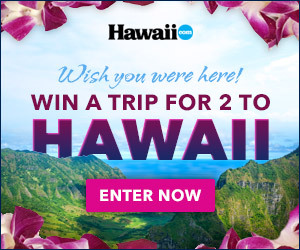 The company’s most popular 45-minute “Blue Skies of Oahu” tour showcases a smattering of the best scenery Oahu has to offer, including Waikiki Beach, hidden rainforests, lush valleys, Diamond Head, Hanauma Bay, Waimanalo beach, Chinaman’s Hat, Kaneohe Bay, Nuuanu Valley, Sacred Falls, Dole Pineapple Plantation, and even the historic sites of Pearl Harbor, the Arizona Memorial and the Battleship Missouri. Another popular helicopter tour company is Paradise Helicopters who is based on the North Shore departing from Turtle Bay Resort, and offers several flights, such as its North Shore or Waterfall Adventures, as well as the Magnum PI Experience, which actually takes you up in a MD500 Magnum PI replica helicopter! Customer charters are also available for purchase. Regardless of what tour company or aerial adventure you choose, gliding through the tropical island skies on your unforgettable Oahu helicopter tour will be the highlight of your entire Hawaiian vacation. Makua Cave/Pray for Sets Beach, Waianae. Photo by Jason Karioka / Hawaii.com.